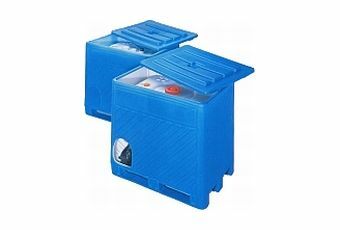 The plastic tanks of the Hessentaler Container GmbH with a filling capacity of 270 to 1000 litres are distinguished by their versatility and excellent benefits in practice. The outstanding properties and robust durable construction guarantee long service life. 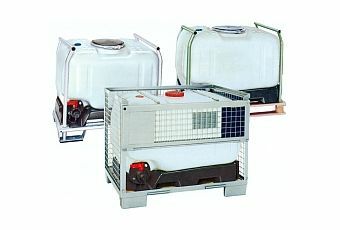 The Hessentaler plastic tank KT 530 RR with a filling capacity of 530 litres features versatile and practical benefits. The advantages of the KT 530 RR will be demonstrated by the efficiency, profitability and cost-effectiveness of your company. The Hessentaler plastic tank KT 530 with a filling capacity of 530 litres features versatile and practical benefits. 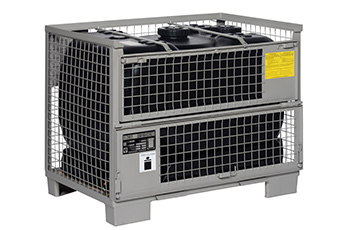 The many benefits of the KT 530 will become evident through increases in efficiency, profitability and cost-effectiveness in your company. The Hessentaler plastic tank KT 800 with a filling capacity of 800 litres features versatile and practical benefits. The many benefits of the KT 800 will become evident through increases in efficiency, profitability and cost-effectiveness in your company. 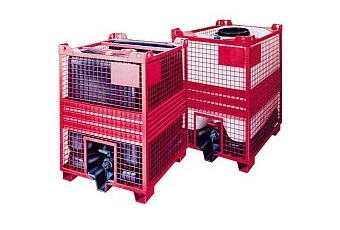 The Hessental plastic tank KT 530 LF with a filling volume of 530 liters is characterized by its versatile and practical use.